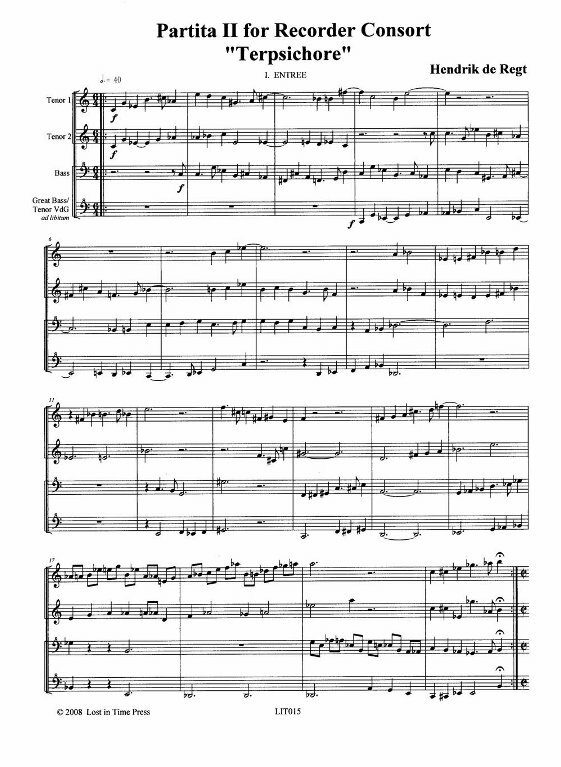 LIT015, de Regt, Partita II for Recorder Consort, "Terpsichore"
Contemporary partita for a lower voiced quartet. Terpsichore, the muse of dance, inspires De Regt to lighter dances. The Dutch ensemble Capriola performed four movements from Terpsichore on extended range renaissance instruments. A very satisfying suite. The lowest part for great bass has been transcribed also for tenor viola da gamba.